A rollator can be a great tool in helping you reach the recommended 30 minutes daily activity, as well as an excellent all-round mobility support improving blood circulation and general health. Moreover, it enhances involvement in social activities resulting in greater self-esteem and quality of life among the users. There have been several studies around the use of walking aids, including rollators and their benfits. We have gathered and summarised some of the findings relating to rollators in our Stay Healthy section. Waar kan ik deze rollator bekijken en evt aankopen in Maastricht? Bedankt voor uw Access Vital. Where are these sold in the US? What height range to they serve? I am eager to acquire one of your rollators (and some of its accesories.). Pls indicate whether I can buy it on-line and have it forwarded to Rio de Janeiro/Brazil. I am sorry but currently we don’t have any dealer in Brazil and it will cost you a fortune on freight if we ship your rollator from Norway. 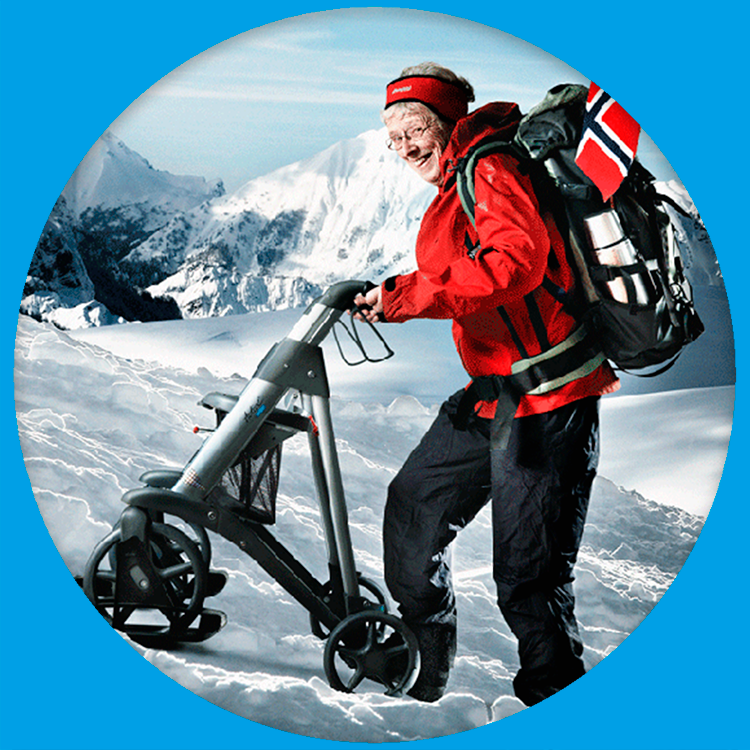 I would suggest you contact our distribution, Core distribution in USA in order to purchase your Active rollator. I would like to buy the Active swivel wheel stopper but it’s not for sale in the Netherlands so it seems. class="post-template-default single single-post postid-196 single-format-standard samba_theme samba_left_nav samba_left_align samba_responsive wpb-js-composer js-comp-ver-4.12 vc_responsive"